The clock is ticking on Israel’s decision to go to war with Iran. As Israeli Prime Minister Benjamin Netanyahu and his Security Cabinet weigh the timing for a preemptive military strike on Iran, they are assessing many pieces of data. Among them: Are international negotiations, economic sanctions, and covert attacks slowing down Iran’s efforts to enrich enough uranium to build the Bomb, or not? What are Israel’s options to deny them the Bomb, other than full-scale, all-out war? Will the U.S. stand with Israel—or abandon Israel—if Netanyahu orders a preemptive strike? “Iran is believed to be further increasing its uranium enrichment capacity at its Fordow plant buried deep underground, Western diplomats say, in another sign of Tehran defying international demands to curb its disputed nuclear programme,” Reuters reported Thursday. “In recent months, Iranian regime spokesmen have conducted a campaign of statements regarding Iran’s intent to enrich uranium for use in nuclear-fueled ships and submarines—the latter a patently military use of nuclear power,” reported the Middle East Media Research Institute (MEMRI) last month. 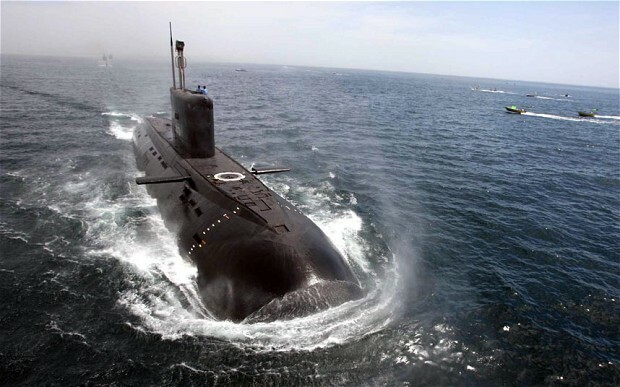 “Regime officials, regime dailies, and websites close to the regime issued no fewer than 12 such statements, in which they declared Iran’s intent to enrich uranium for nuclear fuel to power both surface sea craft and submarines. It should be noted that while nuclear fuel for surface craft entails uranium enrichment of 50-60%, nuclear-powered submarines require enrichment of 90%, which is the same level needed for the production of a nuclear bomb. From its inception, this campaign of statements was meant as a counterargument to heightened Western sanctions. The regime said that in the face of sanctions restricting its use of oil, Tehran had no choice but to develop an alternative source of energy to fuel commercial transport, in order to maintain its ties with the world. However, in what would seem a strategic error, regime spokesmen in their statements conflated nuclear fuel for surface vessels for use in trade, with nuclear fuel for submarines which are categorically designated for military use, not civilian use.